As of 2009 there were 120 million blogs in the world (as tracked by BlogPulse). That was last year - so this number will have grown exponentially. So how do you make an impact with your blog? How do people find you as a blogger? You need to tweak your SEO (Search Engine Optimisation) and the best way to do this is with SEO Scribe. This tool is a brilliant addon for WordPress, Drupal and Joomla!. It's not free, but then if you want to get your blog posts up in their rankings it will be the best investment you've ever made. It is particularly good for novice bloggers, because it makes you think about how you structure your posts: using keywords effectively, the length of each blog, how many links you include. When you use SEO Scribe to evaluate your posts, it provides a thorough list of what's good and what's bad, and provides suggestions to tweak your copy for ultimate SEO. It will teach you to write well. To quote from the SEO Scribe site, here's the methodology it employs: "First, the Scribe keyword research tool tunes you into the right language before you write. 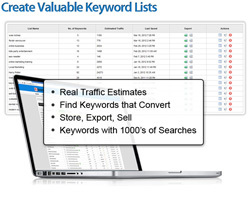 Once your content is created, the Scribe keyword suggestion service shows you keyword phrases you might have missed. Second, Scribe analyzes your natural, reader-focused content, and tells you how to gently tweak it to spoon feed search engines based on 15 SEO best practices. Third, Scribe’s link building tools help you build back links from other sites, crosslink the content within your own site, and identify influential social media users who want to share your stuff." That's a powerful tool, and it's very easy to use. I use it on this blog and it has certainly helped me focus my writing. I love to digressthis software shakes its digital finger at my (its digital digit, perhaps?) and keeps me on track with my chosen post topic. If you wish to try it for yourself, a free 30 day trial is available. By the way, I'm not employed by SEO Scribe or in any way connected with the company. I simply think this is a fantastic tool and too good not to tell people about.